Usually coaches are rewarded and congratulated after a huge win; however, Covenant School Head Coach Micah Grimes was fired Sunday after refusing to back off the pressure against opponent Dallas Academy. Grimes also sent an e-mail to a newspaper on Sunday, claiming that he would not apologize for the large marginal win. He said that the ladies of Dallas Academy should be ashamed, but that he was proud of his ladies for playing with "honor and integrity." 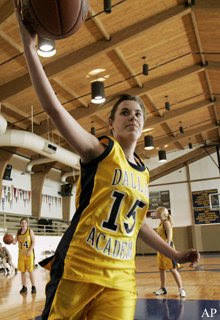 Then again, the academy specializes in helping students with "learning differences," such as short attention spans and dyslexia, and hasn't won a game in four seasons. This alone should have given Grimes a hint that feeding his own winning streak would only crush the other girls. At half time, Covenant School led Dallas Academy 59-0, so why didn't Grimes pull his main string out and give other players some time on the court? With a lead of 59, Grimes could have afforded to lose a couple of turnovers, rebounds and let the athletes play for the love of the game instead of statistical purposes. Despite Covenant's lead, Dallas Academy did not give up, which is something that shows a great deal about their individual characters. What started out as a disappointing and excruciating game to watch, soon turned into a teaching session for Dallas coaches.